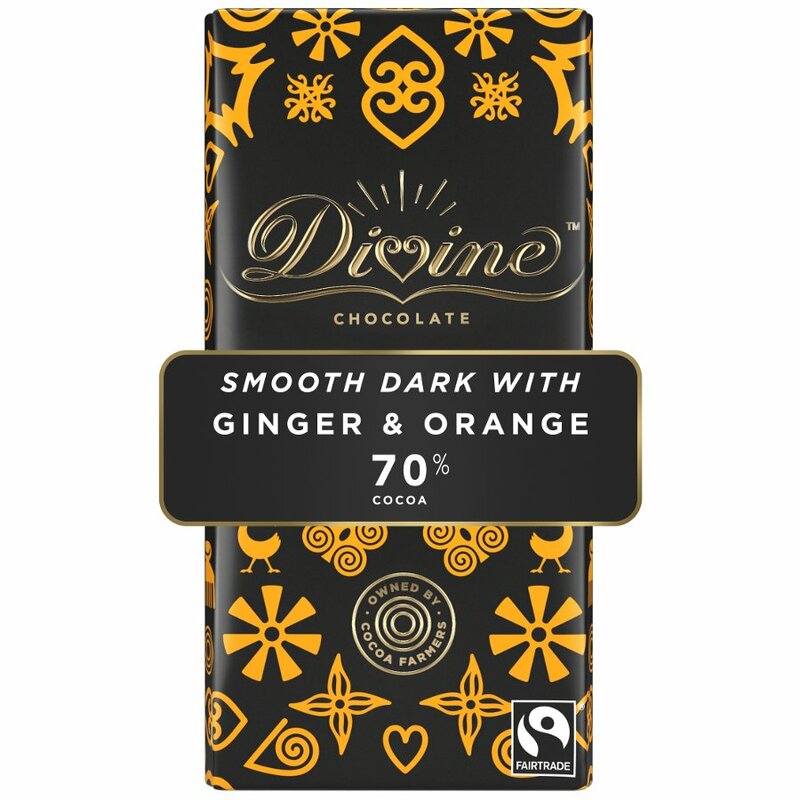 Enjoy this delicious 70% smooth dark chocolate enriched with zesty orange nuggets and warming spicy pieces of ginger. 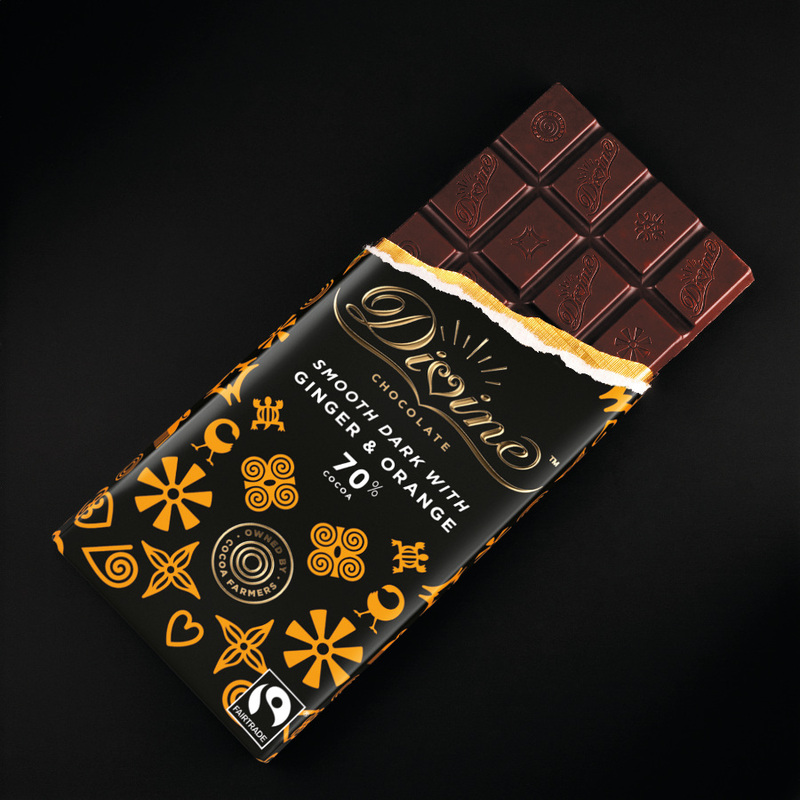 This bar is the perfect fiery treat for a winter evening. 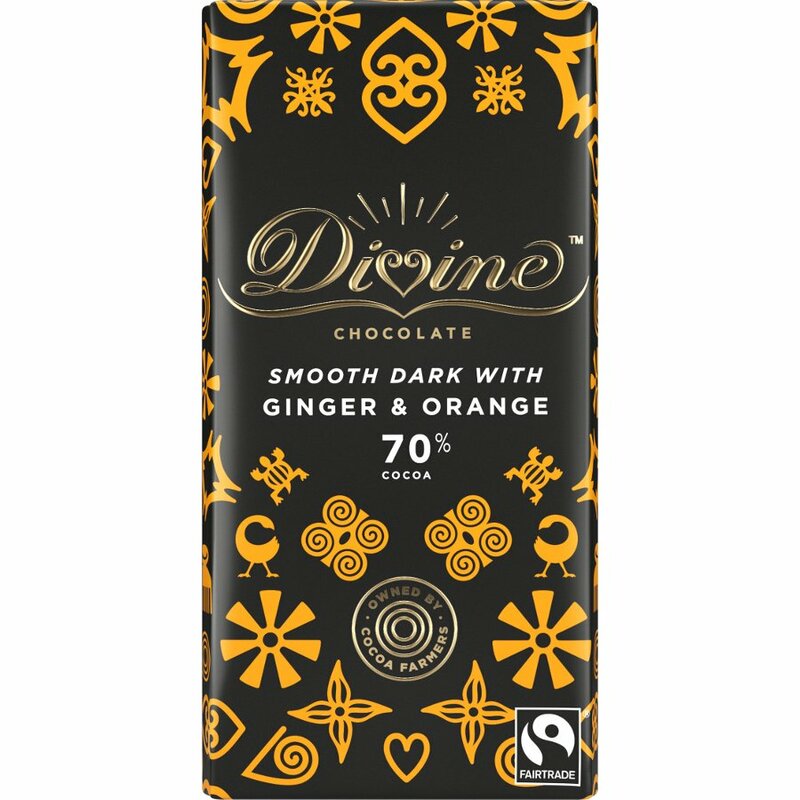 Cocoa mass, sugar, cocoa butter, orange granules 10% (orange 27%, apple, sugar, rice flour, glucose syrup, fructose syrup, gelling agent: pectin, acidifier: citric acid, natural orange flavour), emulsifier: sunflower lecithin, natural ginger flavour, vanilla. 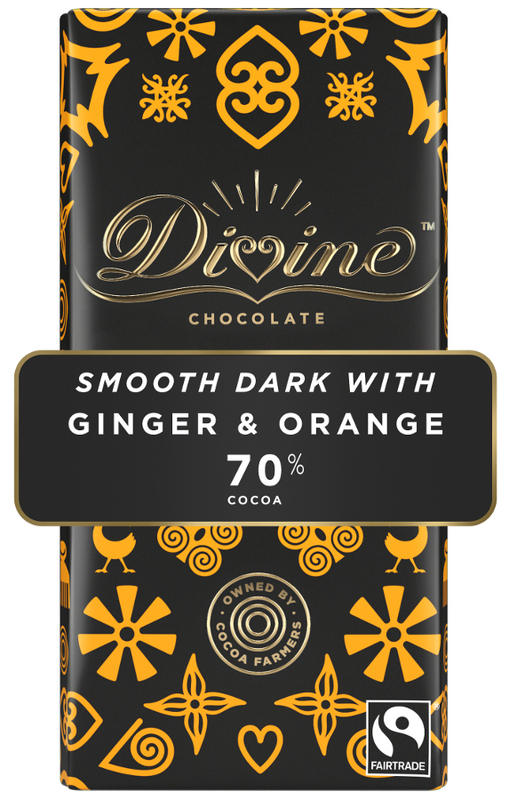 There are currently no questions to display about Divine 70% Dark Chocolate with Ginger & Orange.